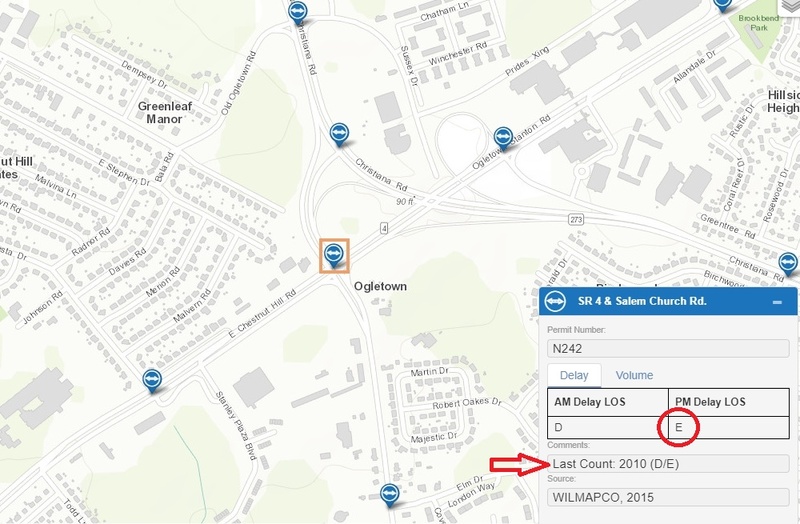 Ogletown Resilience: Highest of odds that SR4 intersections already fail at LOS grade "F"
One of the greatest ironies of NCC's approval of the Chestnut Hill so-called "Preserve" is the use of 2010 data to fulfill its Transportation Impact Study (TIS) requirements. Equally surprising is DelDOT's apparent approval, despite adding the failed intersections of Salem Church Road and Library Avenue to the TIS study area. They are under very tight ROW constraints now, and would find it prohibitive and/or nearly impossible to widen Rt.4 and add additional lanes. With developers now getting carte' blanch under NCC Executive Meyer and Land Use Manager Rich Hall, it is not clear how DelDOT will deal with the corridor in the future without the use of eminent domain. 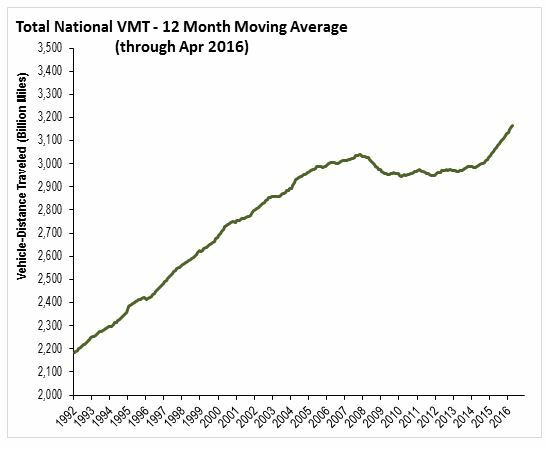 As seen in this FHWA trend above, national VMT dropped significantly in 2010. The result was gasoline "demand destruction", which triggered a surplus resulting in the record low (adjusted for inflation) pump prices we are seeing today. 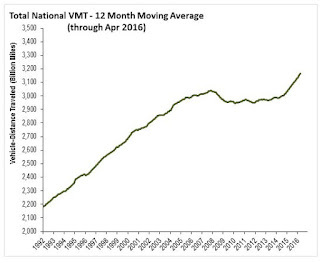 VMT has since returned to where it left off, and has continued to new record highs. Delaware's improving economy, along with Meyer's fierce pro-development stance will further add to it. 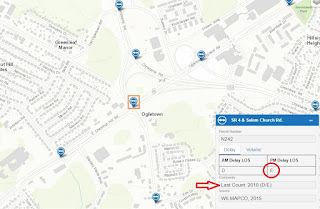 Above: This interactive map, courtesy of Wilmapco, illustrates the conundrum. If we examine the Rt.4-Salem Church Rd intersection alone, we see an "E" grade fail in 2010 (ditto for Rt.72-Library Ave). The odds are overwhelming that it would score an "F" if measured today, in 2018. Not that it makes a whole lot of difference, since both letters are a fail and come under the same UDC rules. But it does show how dire the situation is out on Rt.4, a hospital corridor and evacuation route no less. If by some miracle these intersections are still at 2010 grade "E", they are likely teetering on "F" in 2018, meaning that the Chestnut Hill so-called "Preserve" will push them to "F" in any case -- the worst possible grade for vehicle LOS.